How will LES MILLS programs help my facility? Satisfied LES MILLS participants have recommended their current facility to friends and family at a staggering rate of 93%. This compares to only 76% of gym attendees who recommend their current facility*. With new music and choreography released every quarter, LES MILLS programs provide the perfect opportunity to host group fitness launch events. This is also a great time to encourage member referrals. Research indicates that if the average member makes one more visit a week, this leads to a 3% increase in a facility’s retention rate. Further research shows that freestyle Group Fitness participants attend around 1.9 times per week*, while LES MILLS Group Fitness participants attend around 3.1 times per week. ** With this in mind, it’s clear that members attending LES MILLS programs are more likely to stay with you for longer. LES MILLS Group Fitness participants have more intention to renew their membership than those who don’t do Group Fitness (72.2% compared to 63.4%). 65.7% of LES MILLS Group Fitness participants believe that Group Fitness is an important motivator in keeping them at the facility long-term and 71.8% are “very likely” or “extremely likely” to continue taking LES MILLS classes in the next 12 months. How do I get LES MILLS into my facility or create a partnership? Easy, just get in touch! We’ll set up some time to talk through the challenges you’re facing and opportunities you may have. Every partnership with LES MILLS is unique. LES MILLS will look at your specific challenges and opportunities to make your business more profitable. Once you’ve launched your first program, the support doesn’t stop there. You’ll be guided through how to best launch your LES MILLS programs. Your dedicated regional team will be available to advise you on Marketing, scheduling and how to recruit instructors. When you partner with LES MILLS the payment arrangements are a monthly licensing fee. This is agreed based on the number of programs you decide to launch with. What do I need to consider when launching LES MILLS? Equipment: Do you have steps, barbells, mats, bands and bikes to meet the class requirements? 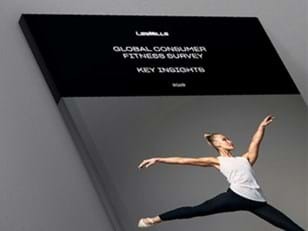 Marketing: Les Mills Brand Central has everything you need to successfully launch your new classes. The Marketing support you receive is simple and allows you to build your own materials. Your first launch materials are to let your members know you’re investing in quality studio workouts for them, then each quarter you’ll receive a new Marketing campaign to launch the new workout release. At any time, you can access all the Marketing materials available on Brand Central. It’s like online shopping; just add what you want to your basket and download it all when you’re ready. Instructors: Your regional team can advise on setting up any recruitment events. Access to your Club Portal provides you with information on available Instructors in your area. The number of items you require will depend on your studio size. For all LES MILLS programs (other than RPM and LES MILLS SPRINT) we advise allowing 43 ft² (4 m²) per person. For RPM and LES MILLS SPRINT we suggest allowing a space of 21 ft² (2 m²) per bike. For LES MILLS GRIT, we suggest allowing 64 ft2 (6 m²) per person. These recommendations will make a class comfortable but enable you to always squeeze a few more in, if necessary. We will advise on the exact recommended equipment based on your program and studio size. Our LES MILLS Smart Tech equipment is designed specifically for studio classes and free weight workout programs. Take a look at the Smart Bar, Smart Step, Smart Band and MBX Mat here. To maximize the benefits of LES MILLS programming to your members, we suggest launching with a minimum of three LES MILLS programs. It’s important to offer members a range of workout options including strength, cardio, cycle, HIIT, flexibility, core and dance workouts. A prescribed mix will give members the best results. The more often members experience LES MILLS, the more likely they are to make it part of their regular routine. What’s the difference between LES MILLS classes and the freestyle classes I already have? Les Mills programs have been refined over the last 25 years to offer the most effective workouts for members. All Les Mills programs are scientifically proven to deliver results. For example, the LES MILLS GRIT workout goes through rigorous testing to ensure it’s true HIIT. LES MILLS Instructors are all trained by qualified trainers around the globe. The Initial Training Module is a two-day training which is a challenge for the most advanced fitness professionals. You can be confident that a LES MILLS certified Instructor has received quality training and that they receive this on an ongoing basis. LES MILLS programs are rereleased every quarter. LES MILLS Instructors receive these new materials and go through new training each quarter to deliver these new quality workouts to your members. Because LES MILLS has been producing these workouts over the last 25 years, we have relationships with all the biggest music labels. This means we can license all the latest artists to motivate your members through their workout. What LES MILLS programs should I start with? The decision on which programs to launch with should depend on the demographic of your facility, or the demographic of the group you’re trying to attract. The most popular Les Mills program is BODYPUMP – the original barbell class. This program is a proven crowd puller appealing to men and women of all ages and fitness levels. It’s important to offer members a range of workout options including strength, cardio, cycle, HIIT, flexibility, core, dance and kids workouts. 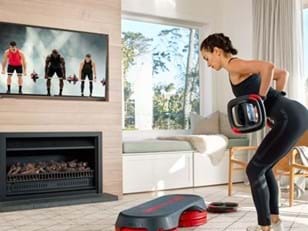 LES MILLS VIRTUAL takes our world class content to the big screen. Top Instructors, pumping music, beautifully filmed and constantly refreshed workouts give members a great workout at any time of the day. Offer members the schedule they’ve always wanted by scheduling classes at any time. LES MILLS On Demand allows members to continue their training wherever they are. Contact us to see how you can offer LES MILLS On Demand to your members, adding even more value to your membership. How can I learn more about running a successful facility? LES MILLS runs webinars and live seminars to educate our partners on various topics that are crucial to running a healthy business. Click here to find the next event near you. Who do I speak to and who is my point of contact?